Whether you send a one-time or ongoing donation, you are allowing our team to perform vital services to our patient base. Choose DDD Foundation as your charity of choice — then shop! Every time you shop through AmazonSmile, a portion of your purchase price will be donated to the DDD Foundation. It’s that easy! Support the DDD Foundation by designating the DDD Foundation as your charity of choice. 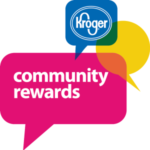 Click on the logo and register your Kroger Plus card number. Then, select DDD Foundation or #61346! Whether you run or walk, you can show your support at our annual Dental Dash 5k. 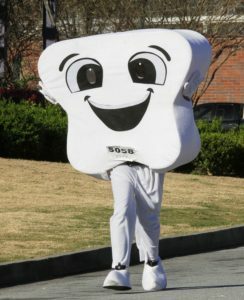 The 2019 Dental Dash at Dawn 5K will be held on Saturday, March 23 in West Plaza Park in the shadow of Mercedez-Benz Stadium. Start and Finish will be near 150 Northside Drive NW, Atlanta, between Georgia World Congress Center Building C and the Gold Deck parking. There are cash prizes, medals, and gold tooth trophies for category winners! This is a certified course and an AJC Peachtree Road Race qualifying event! 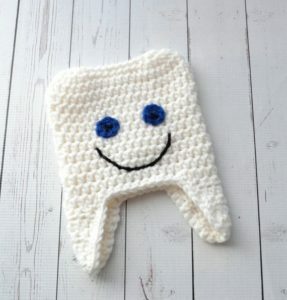 Keep your head warm on race morning with this adorable tooth hat! Only 200 hats available, so get yours today! Adult hat is $35, with $5 being donated back to the DDD Foundation, Inc.
Kids’ hats are $30 with $5 being donated back to the DDD Foundation. Order yours today at kskeepsakes@gmail.com. The Legacy Club is a group of DDD Foundation supporters who have chosen to leave a bequest to the DDD Foundation. It’s easy to be a part of this special group, and your bequest could help thousands of DDD Foundation patients for years to come. Interested in learning more about the Legacy Club? 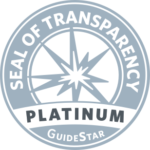 Email Sheri Anderson at s.anderson@dddfoundation.org.